When you need safe and reliable nebulizer parts, ADW Diabetes has you covered with the right solution at a great price. 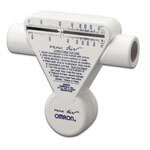 Find nebulizer accessories such as tubing, filters, nosepieces, medication bottles, adaptors and more! 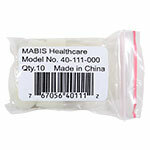 Nebulizer accessories help maintain your nebulizer’s quality for general wear and tear as you use it while also making sure it performs at the high standards intended. 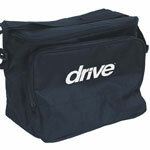 Our selection offers all the top brands such as Omron, Mabis and Drive Medical. 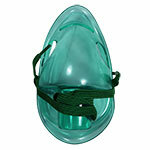 Browse through our wide range of nebulizer accessories and trust us for the best prices and service. 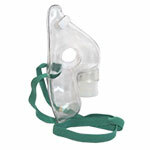 When shopping for nebulizer parts, you will find a range of items available in our inventory of solutions. When looking for overall diversity in terms of solutions offered, we cover all the essentials and then some. Whether you need a medication bottle nebulizer, air filters to ensure your model is in top shape for a healthy breathing outcome, or a replacement nosepiece for your existing machine, we have you covered with everything you need. We offer only high-quality nebulizer parts from top brands to further ensure high standards of performance and safety for this important aspect of your health management. While we offer many brand specific options intended for use with specific machines, you will also find some options can be used with different nebulizers when specified as such for added convenience. Whether you are shopping for a specific brand or a more universal selection, our inventory of nebulizer parts offers high-quality performance and ease of use to make at home respiratory care easier than ever. 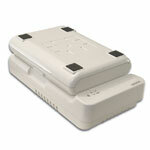 From AC adapters to flow meters, find the right solution right here! Order today and breathe easier tomorrow. We are committed to outstanding customer service by way of top brands at affordable prices with a focus on providing a hassle-free shopping experience. If you have any questions regarding the products we offer or insurance concerns, please contact our friendly team for further assistance. We are always happy to assist our valued customers in any way.